Britain's telcos are now definitely buying into 'quad-play'. Britain’s telecoms providers are clearly waking up to the value of bundling broadband, TV, phone and mobile services into one package – also known as 'quad-play'. After BT’s announcement that it was looking to buy EE last year, today Sky confirmed a deal with O2 to start providing its customers with mobile contracts from next year. In contrast with its big rival BT, Sky has opted to use a ‘virtual’ network to go mobile – buying time on O2’s physical network of mobile masts but packaging it up under the Sky brand. O2’s current customers will not be affected. Sky chief exec Jeremy Darroch was thought to be underwhelmed by the touted advantages of quad-play but seemed super-duper excited by the prospect today. 'We know our 11.5 million customers trust Sky to offer them the best quality and choice and have an appetite to take more from us,’ he said. 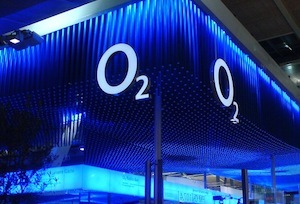 There were suggestions that Sky had been considering an acquisition of O2, despite it being unclear where the cash for such a deal would come from. But it emerged last week that the mobile network is instead likely to be snapped up by Hong-Kong giant Hutchison Whampoa, owner of rival network Three. Vodafone, the other big player in this space, announced plans to launch its own broadband and TV services this year. If nothing else today's news will add some heat to the already high-stakes battle between Sky and BT for Premier League TV rights, which is expected to conclude next month. Everyone sitting comfortably?